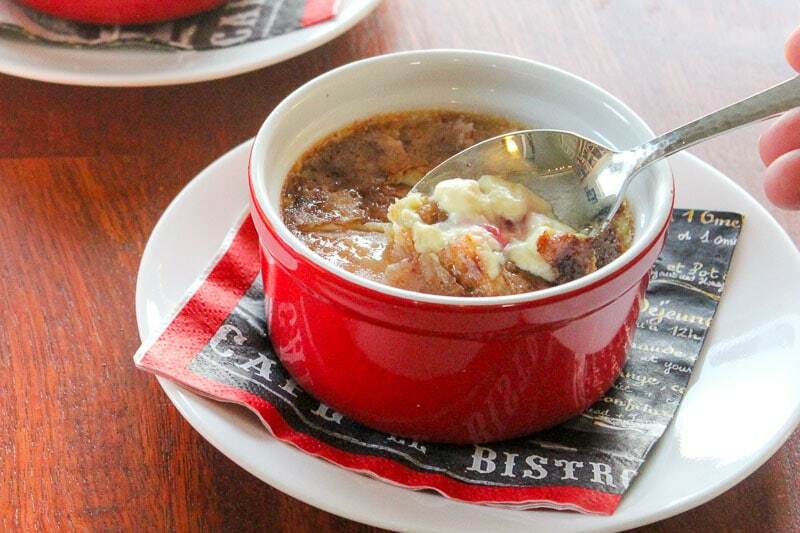 Raspberry Crème Brûlée – a dessert of beautiful contrasts. Tart raspberry sauce on the bottom, rich, creamy vanilla custard in the middle, and crunchy caramelized sugar on top. 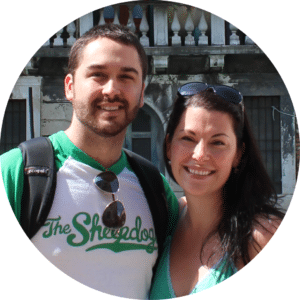 So easy to customize to suit your personal taste and no fancy equipment (or ingredients) needed! And so much fun to eat! 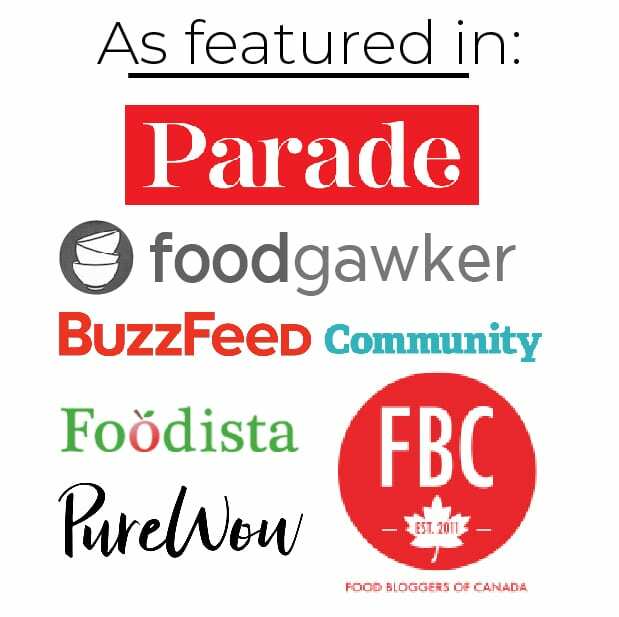 Sounds like something you could never make at home, right? 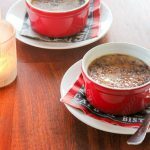 This recipe makes two good-sized dishes of raspberry crème brûlée (in honour of Valentine’s Day next week). 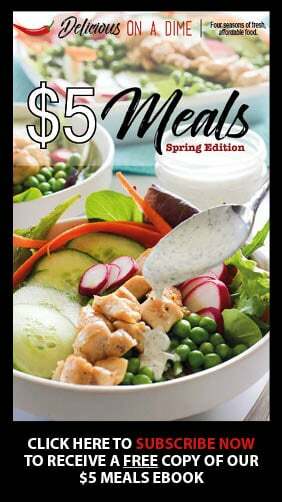 But you don’t have to make it for a special occasion, or for a significant other. Heck, you can make two and eat them both yourself (trust me, you’ll want to 🙂 ). Or you can double or triple the recipe to make more for a crowd. You can make it ahead of time (in fact, you really must, because it needs to chill in the fridge for a few hours to set). You can make it in smaller ramekins or mini mason jars, or you can make it in one larger oven safe dish (adjusting cooking time). And you can make it with frozen raspberries, like I did (SO good), but you can also make it with whatever fruit you have on hand or in your freezer. You see, it’s really quite versatile. So give it a shot. Make this dessert that sounds super fancy and you thought you had to be in a nice restaurant to eat. 1 cup whipping cream Where I live a small carton is 237mL. That's close enough. 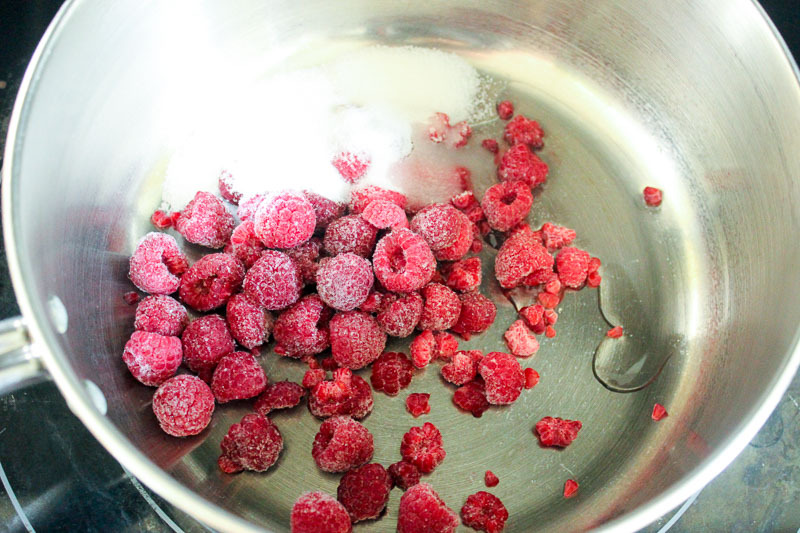 Combine frozen fruit, sugar and water in a pot over medium heat. Cook berries until they soften and you can mash them into a sauce. It doesn't have to be perfectly smooth, but if you're feeling ambitious (or don't like raspberry seeds) you can press it through a sieve. I didn't bother (and I am kind of annoyed by raspberry seeds, but it was still delicious). Place a paper towel in the bottom of an oven-safe dish and put whatever dishes you're using on the paper towel. 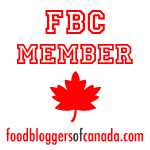 You can use ramekins, mini mason jars, or anything oven and broiler safe. I used two four inch ramekins and they were quite full. Divide your raspberry sauce between the ramekins. Set aside while you make the custard. 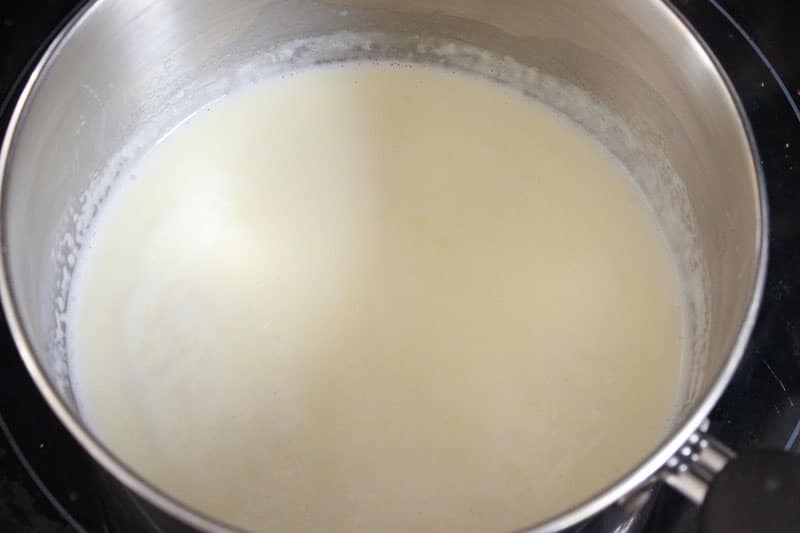 Pour whipping cream (heavy cream) into a pot and set it over medium-low heat. (I cleaned the pot I used earlier and used it again, because I hate having a million dishes to wash at the end.) Slowly heat the milk, stirring it occasionally, while you combine the ingredients for the next step. 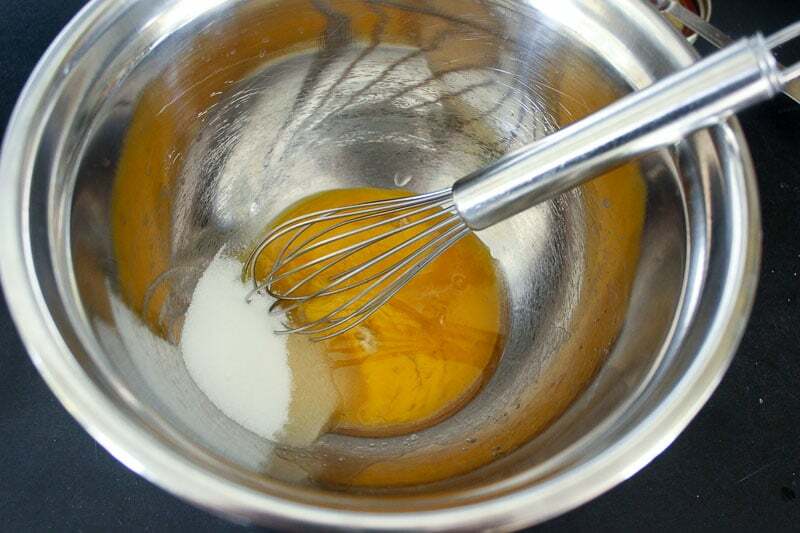 In a large bowl, whisk together egg yolks, sugar, vanilla extract and salt. Make sure it's well-combined. Once the cream is hot and frothy (but not boiling), pour a small bit of it into the eggs, whisking quickly to combine. 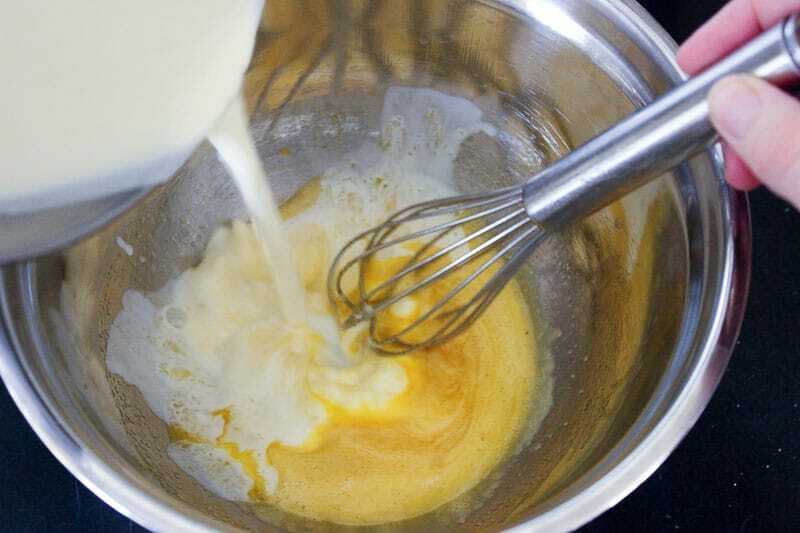 Then add remaining cream in a thin stream whisking vigorously to make sure it's blended well. If you touch the mixture you shouldn't be able to feel any graininess between your finger and thumb, meaning that the sugar is completely dissolved. Pour gently on top of the raspberry sauce. Pour very hot water into the oven large oven-proof dish until it comes half way up the outside of the ramekins. 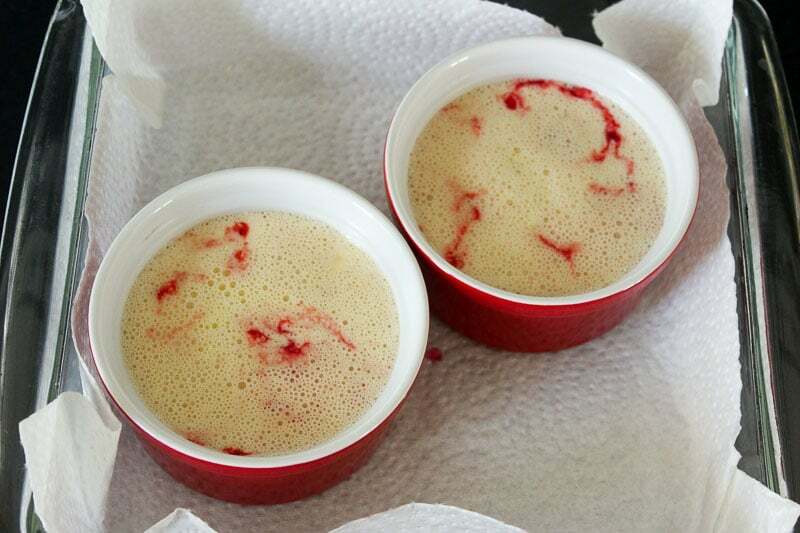 Bake in oven for 35-45 minutes, depending on the size of your ramekins. Mine took about 45 minutes. The centres should be slighly jiggly when shaken. Cool to room temperature and chill for at least three hours in the fridge. Remove dishes from fridge half an hour before serving. Five minutes before serving, sprinkle 1 teaspoon of sugar on the top of each custard (may vary depending on size of ramekin). Place on cookie sheet and broil for 1-2 minutes, until sugar melts and caramelizes. You'll need to watch this the entire time, because it can burn easily if left unattended. If you have some spots that aren't melting you can pick up the ramekin to hold it in a better spot under the broiler (with oven mitts on). 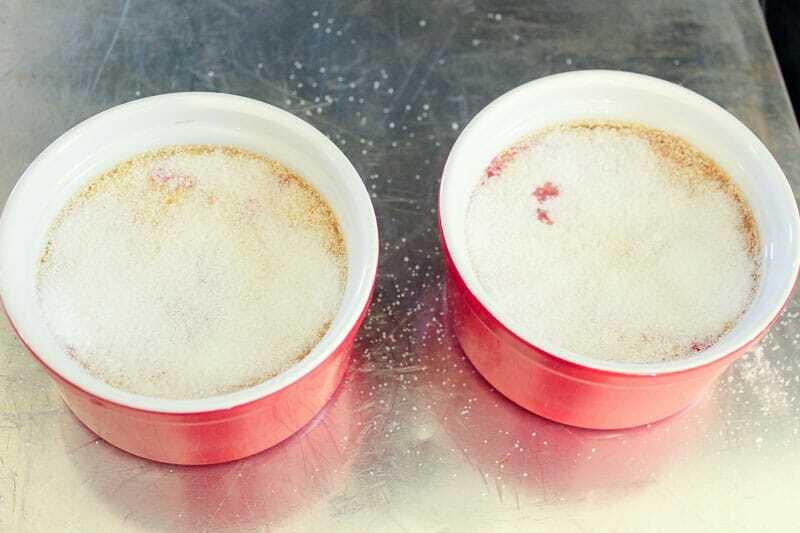 Once you remove it from the heat the sugar will harden into a crust on top of the custard. 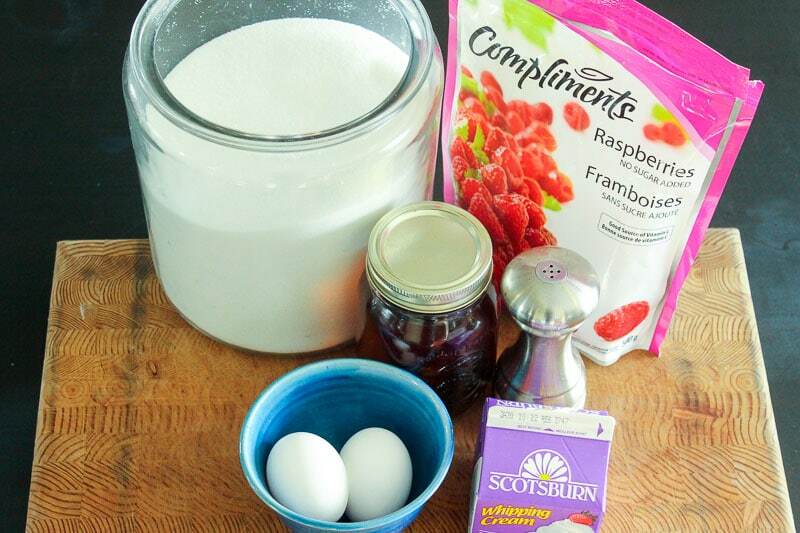 Combine 1/2 cup frozen fruit (I highly recommend raspberries, but I think you could use pretty much anything that would make a nice sauce), 2 tablespoons of sugar and 1 tablespoon of water in a pot over medium heat. Cook berries until they soften and you can mash them into a sauce. It doesn’t have to be perfectly smooth, but if you’re feeling ambitious (or don’t like raspberry seeds) you can press it through a sieve. I didn’t bother (and I am kind of annoyed by raspberry seeds, but it was still delicious). Place a paper towel in the bottom of an oven-safe dish and put whatever dishes you’re using on the paper towel. 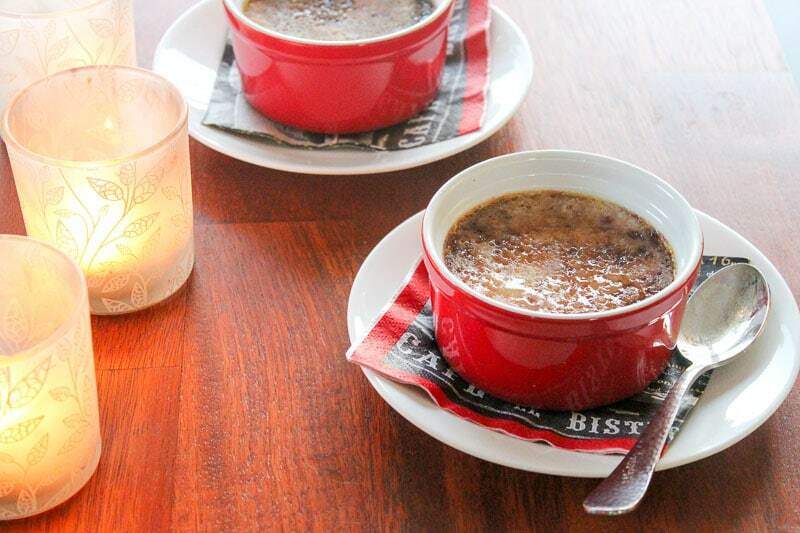 You can use ramekins, mini mason jars, or anything oven and broiler safe. I used two four inch ramekins and they were quite full. 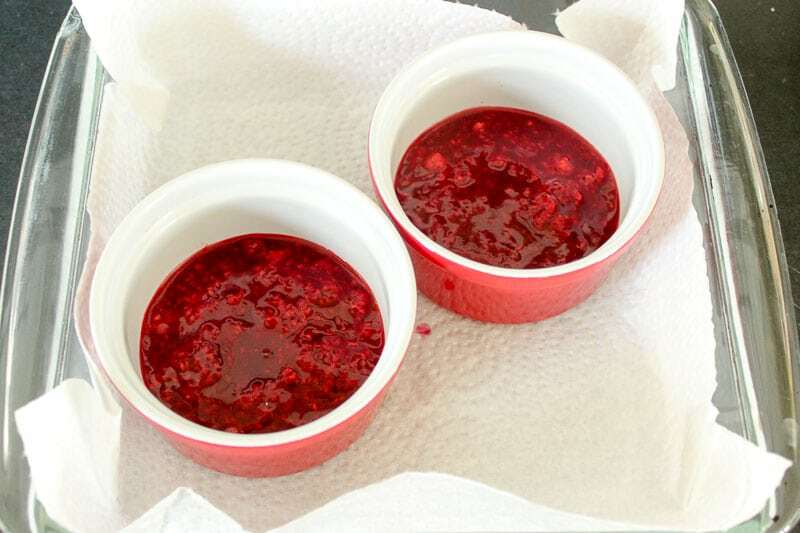 Divide your raspberry sauce between the ramekins. Set aside while you make the custard. Pour 1 cup of whipping cream (heavy cream) into a pot and set it over medium-low heat. (I cleaned the pot I used earlier and used it again, because I hate having a million dishes to wash at the end.) Slowly heat the milk, stirring it occasionally, while you combine the ingredients for the next step. In a large bowl, whisk together 2 egg yolks (you’ll have to separate the eggs), 2 tablespoons of sugar, 2 teaspoons of vanilla extract and a tiny pinch of salt. Make sure it’s well-combined. Once the cream is hot and frothy (but not boiling), pour a small bit of it into the eggs, whisking quickly to combine. Then add remaining cream in a thin stream whisking vigorously to make sure it’s blended well. If you touch the mixture you shouldn’t be able to feel any graininess between your finger and thumb, meaning that the sugar is completely dissolved. Pour gently on top of the raspberry sauce. Pour very hot water into the oven large oven-proof dish until it comes half way up the outside of the ramekins. 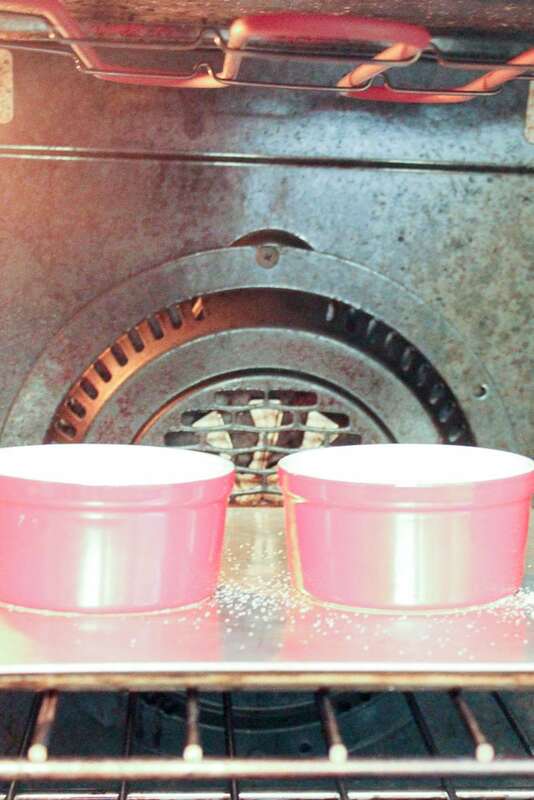 Bake in oven for 35-45 minutes, depending on the size of your ramekins. Mine took about 45 minutes. The centres should be slightly jiggly when shaken. Cool to room temperature and chill for at least three hours in the fridge. What a special valentine treat.